Editor’s note: This article by Dannie Li first appeared on China Tech Insights, an English research unit affiliated to Tencent’s Online Media Group. “This coat is pure wool. It’s lighter and thinner than regular woolen overcoats, while at the same time it’s just as warm,” the girl in the camera explains to her fans through her live stream while putting on a slight pink double-faced cashmere overcoat. “Is it heavy enough, though?” types a fan in the chat box on the upper right-hand corner of the screen. “I think it’s better suited to wintertime in the South. Winter winds in the north are too strong,” the live streamer explains patiently to the fan. 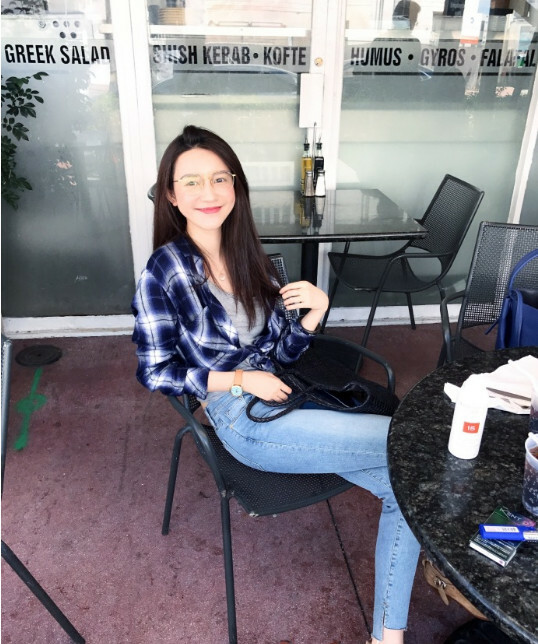 This live streamer, wearing a sweet smile and a rimless round-framed pair of glasses, is Zhang Dayi, a widely-known cyber celebrity in China. A regular scene for Chinese fashion influencers – introducing products through live streams has become the new trend. In this one-hour long live video, Zhang displays 10 coats and sweaters in her first half hour. She acts as a shopping guide, a model, a stylist and even as customer service, presenting clothes her team designs while giving style consultations and answering questions about the design, fabric, and price of her clothes. This live video has been viewed 9.73 million times over the last two months. Who would have thought this amiable girl-next-door would’ve raked in a record-breaking nine-digits operating one of the top-selling stores on Alibaba’s online marketplace Taobao? Born in 1988, Zhang began her climb to fame as a fashion magazine model in 2009. In 2014 she set up her own Taobao shop with her partner, Feng Min, the founder of internet celebrity incubator Ruhan E-commerce. Astutely managed, her Weibo accounts saw a boom in follower growth from 250,000 to more than 4 million in one and a half years. Part of her fame stems from the sales legends that surround her: she is said to have established record sales over two consecutive Singles’ Day online shopping festivals on Taobao. On Singles Day 2016, her Taobao shop made it into the top ten for Taobao’s Women’s Wear category. Zhang is one of the most prominent cyber celebrities in China. Behind much of her success in retailing is the rising trend of China’s “Internet Celebrity Economy”. Internet celebrities (more commonly known as ‘wanghong’ in Chinese), can be traced back to the emergence of the Internet. Through the ups and downs of different social platforms – from BBS’ to online forums, social networks to short video sites, video streaming platforms and now live streaming services – the history of the renewal and replacement of different kinds of internet celebrities can be observed. “Back in the latter half of 2014, we noticed the rise of cyber celebrities, and they saw explosive growth in 2016,” said Zeng Ming, Chief Strategy Officer of Alibaba in an article posted on WeChat. 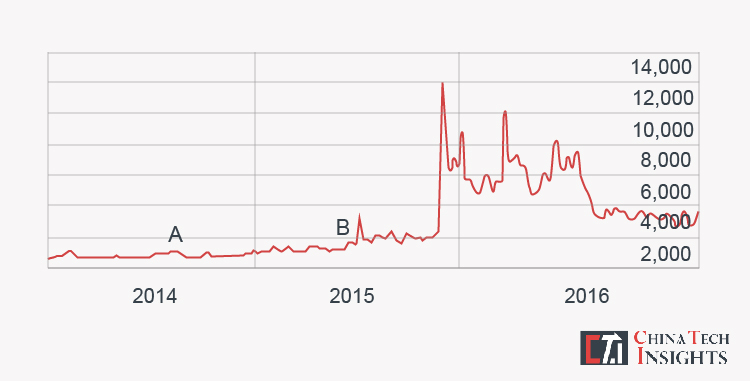 The word “wanghong” has seen a boom in search volume since November 2015 according to Baidu Index, the big data platform of search engine Baidu. In February 2016, Papi Jiang dubbed the top “wanghong” of 2016, became a household name for her viral short videos. She focused the public’s attention on the internet-based cyber celebrity. Not long after Papi Jiang came to the boom in Chinese live streaming platforms that we see today. In both the US and China, the term “Internet celebrity” encompasses a wide range of types. They rise to fame through different platforms depending on their different skills and talents. Some are popular gaming live streamers, others are Weibo punsters with millions of followers, and still others are internet cosmetics phenomenona like Michelle Phan. Together they form the “Internet celebrity” phenomenon, meaning they enter into the public’s imagination through taking advantage of the internet, especially now with the mobile internet. Through meticulous planning and the cultivation of an audience centered around personalities, they find various ways to monetize their huge fanbases. The development of this ecosystem in China and the US has seen a shift to where internet celebs are now able to make money out of their fans. In the U.S., among the many kinds of web celebs that have risen to fame on social media, the most successful kinds to have monetized their huge fanbases are the fashion icons. They blog about style or do make-up tutorial videos, becoming Youtube or Instagram personalities earning large sums from brand sponsorship. 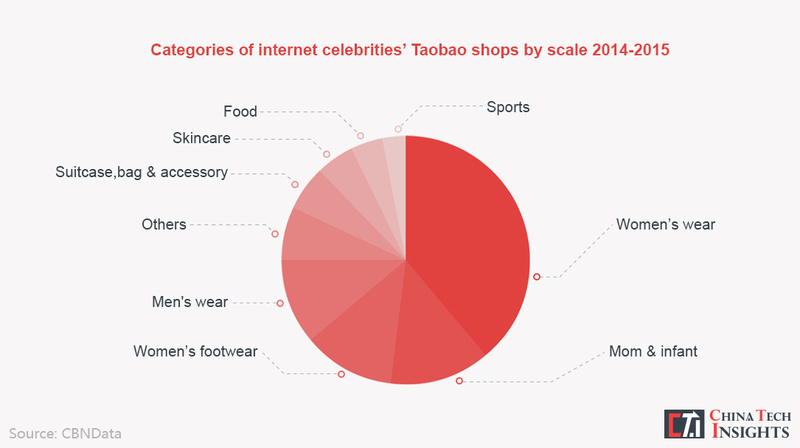 In China, however, the most profitable types of internet celebrity are the fashionistas based on Weibo and Taobao. They are now becoming a significant force in the online retailing business in China. The first step to understanding the essence of a fashion influencers success in retailing is to find out how they convert fans into buyers. Here is a map of the working mechanism operating in the industry. Fashion sellers usually start with Weibo, the leading social media platform in China. They publish content to their accounts regularly, which ranges from daily life observations to fashion recommendations in the form of photos, videos, and live streams. What attracts fans is often the integration of many elements. Using Zhang Dayi as an example, let’s take a look at what these essential elements are. Personal charisma: an outstanding appearance, good taste, personality or an enviable lifestyle. With a pretty face and a slim figure, Zhang Dayi is considered attractive in the eyes of many. Having been a model for at least nine years, she has formed her own taste in style and is experienced with modeling and photoshoots. Style: their expertise and aesthetic taste are key to nurturing loyal fans and converting them into consumers. According to a report by CBN Data released in May 2016, a majority of the consumption around internet celebrity-run Taobao shops stems from females aged between 22 to 28 years old dwelling in first and second-tier cities. This group of people typically shows strong consumption for beauty products. Meanwhile, the fastest growing market segment derives from those born after 1995. Chinese people in their early twenties are marked by a pursuit of fashion trends and personalization, while at the same time, having not formed a strong sense of style and being more inclined to be impacted by recommendations from internet celebrities. Celebrity recommendations save users the trouble of searching for products in the vast sea of choice afforded by e-commerce platforms. These recommendations are also felt to be exclusive, which grants users a sense of uniqueness allowing them to differentiate themselves from the rest of the pack. Affinity: apart from content updates, another vital routine for the internet’s wanghongs is fan maintenance. Keeping an approachable image through frequent interaction with fans brings them much closer to their fans. Instead of the sense of superiority and distance one might feel interacting with an A-line superstar, the relationship between fashion influencer and a fan is more equal, mutual and intimate. Zhang Dayi creates an image of a frank, honest and amiable girl in her fans eyes. Her fans call her “auntie” and nickname themselves “E cups”. Interacting with her fans via comments and replies on Weibo is part of her routine. This also includes regular surveys of fan design preferences via social media posts. Even when she becomes embroiled in fights with people who condemn the quality of her products, her fans come out to fight back and show their support. Shared values: another reason for the success of a celebrity brand is the existence of a shared set of values among fans. Internet celebrities form a set of values through the social images they post across the web. A fan might admire an individualistic attitude towards consumption and self-investment. For instance, a post by Zhang Dayi reads, “you are not simply spending money shopping, you are building an ideal empire for the person you aspire to be.” Celebrities are commonly portrayed as being attractive, but at the same time, strong and capable of operating a lucrative business at a young age. China’s wanghong’s are constantly reinforcing this image and conveying values to fans through their exclusive communities created on social media. Fan recognition of these values increases the coherence and group loyalty of the community. In all, the web celeb becomes an incarnation of a set of values, and fans aggregate around a celebrity under the spell of this powerful force of attraction. The Weibo platform ecosystem facilitates the job of influencers by offering various communication channels including embedded short videos and live streaming functions in-app. The Weibo app is also well-designed for converting viewers to shoppers. It provides a window-shopping function that enables a user to browse products sold by the influencer within Weibo. It also has a seamless connection with the Taobao app (Alibaba has a strategic investment in Weibo) meaning users are able to be directed to Taobao effortlessly through in-app links. Effective social media for internet celebrities serves as an essential element for success in a later e-commerce business. It reduces a lot of the cost incurred typically acquiring users. However, this is only halfway to earning real money from fans. To complete the last step of an online retailing business, influencers need the help of a range of professionals including those from apparel design, supply chain, manufacturing, inventory management, e-shop operations and after-sales service. There is no way that these diverse positions can all be fulfilled by the influencer alone particularly when massive numbers of orders are made. This is where fashion influencer incubators have emerged providing a vital new role in the industry to assume some of these responsibilities. 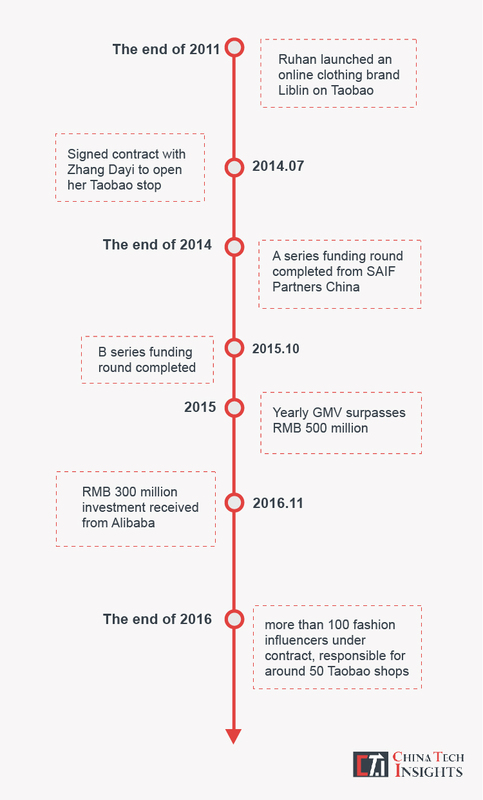 Presently a majority of internet celebrity affiliated Taobao stores are backed by behind-the-scenes incubators. Ruhan, the incubator behind Zhang Dayi, is now the leading player and the most successful case of this particular kind of incubator. With the participation of Ruhan E-commerce, Zhang can focus on promotion and customer relations, in other words, fan management. Ruhan E-commerce assumes the role of supply chain manager and e-shop operator. In terms of supply chain management, the company is in charge of fabric purchase, patternmaking and design, and outsourcing manufacturing to partnering factories. In terms of online shop operations, apart from daily routines and after-sales services, Ruhan also innovates by offering pre-sales and flash sales in order to avoid inventory overstocking, which is a deep-rooted problem for the traditional apparel industry. For those having just started on their journey, with little experience in styling and social media operation, Ruhan E-commerce provides designers, buyers, and even assistants to assist with shooting photos, selecting samples and making patterns. The company also acts as talent management helping with curating a set style and image for its clients and training them to blog, pose for photos, and interact with fans. Despite the proven profitability of internet celebrities in China, the perception of internet celebrities varies among both fan groups and the broader public. China Tech Insights has observed a dramatic contrast between the breathtaking sales volume taking place on the business side and a generally negative attitude held towards both internet celebrities and their businesses. According to our survey, 41.7% of respondents reported a dislike of, or even disgust of internet celebrities, mainly due to the stereotypical impression formed of web celebs. 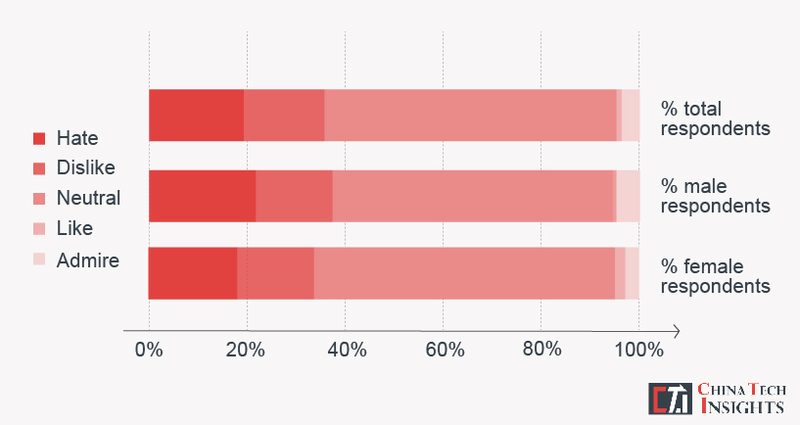 51.1% reported a neutral feeling towards them mainly due to a lack of knowledge. Only the remaining 7.2% showed a positive attitude. The Chinese term, “wanghong” is actually somewhat of a negative term for many Chinese people. A stereotypical impression of a Chinese internet celebrity usually includes a female who, in her quest for sudden fame, has abandoned her brains for hype and scandal. Though wanghong’s are typically received as pretty and/or cute, their appearances are often not recognizable in public due to the apparent prevalence of cosmetic surgery and overdone photo retouching. To make things worse, the market is saturated with the standard East Asian ideal of beauty: a palm-sized face, light skin tone, big eyes and a slim figure. This kind of negative impression only hinders a budding brand attempting to establish trust outside of an existing fan base. The founder of Ruhan E-commerce said in an interview that he disliked people referring to his clients as “wanghong’s” rather, he prefers the term “KOL” or Key Opinion Leader. He describes his clients as “professional content creators in the [fashion] industry”. Zhang Dayi is no doubt the most successful case of a web celeb pivoting from a field to becoming a fashion influencer and a Taobao owner. However, there are tons of other fashion influencers who are finding it harder and harder to acquire fans. Though shedding the negative image has become a top priority for the internet celebrity industry – essential for long-term development – this will likely be a slow and unpleasant process. Nevertheless, regardless of when exactly the public begins to hold a different attitude toward this group, the undismissable fact is that web celebs have already become a leading force today in the online retailing business in China. And this success is likely to grow and last.